For nearly a year, 50 Cent and Chelsea Handler were rumored to be dating each other. Handler revealed 50 Cent had asked her out during the summer of 2009. At the time, she turned him down because she was with someone. Around the same time, 50 Cent said he was too rich to have a girlfriend. Chelsea Handler announced she was single and wanted 50 Cent if he was still interested. Despite the obvious attraction, both denied having anything more than a friendship. Chelsea Handler is considered by many as one of the most attractive women on television. She is known more for her breasts than anything else. 50 Cent has long been known as a womanizer in the game. He has been linked to several women in the game. But, it was a change of pace for 50 Cent to be with a white woman. For an entire year, they have denied anything more than a friendship. This "friendship" ended on Christmas when Chelsea Handler refused 50 Cent's gifts, which sent him into a depression. 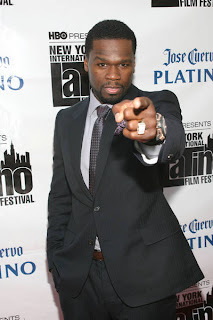 The multimillion dollar deals 50 Cent has pulled off in the months since have cured his rumored broken heart and he is now talking. 50 Cent said he was attracted to Chelsea Handler because of her personality, moreso than her body. The fact that she was down-to-earth is what kept him around her. But, her body happened to be one of the major plusses for 50.